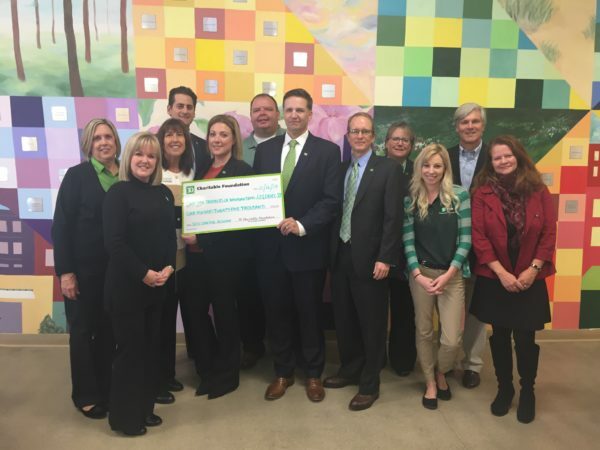 TD Bank's Charitable Foundation Awards SECU Lakeside Reserve | The mission of Good Shepherd Center is to feed the hungry, shelter the homeless and foster transition to housing. Good Shepherd Center’s subsidiary, Lakeside Partners of Wilmington was recently awarded a $125,000 affordable housing grant through the TD Charitable Foundation’s Housing for Everyone grant competition. The grant will be used toward Phase II of the Lakeside project, building 24 additional units of affordable housing for chronically homeless adults with a disability. The first 16 units were completed in July 2017 and are 100% occupied. Good Shepherd and Lakeside Partners broke ground in August of 2016 on property that was donated by the federal government for the express purpose of homeless services. Located behind Legion Stadium at Greenfield Lake, SECU Lakeside Reserve is now home to 16 formerly homeless adults with a disability including seniors and Veterans. To learn more about the program and how the grants are making an impact in the community, videos about past winners are available at “Own Who You Are”. Applications for the Housing for Everyone grant competition will reopen in June 2018.